Commercial. 1-story, 2-bay wide, concrete block commercial building with a brick veneer. Raised brick detailing at cornice. Multi-light transoms. There are metal canopies over the windows and doors. Several windows have been filled in with brick. 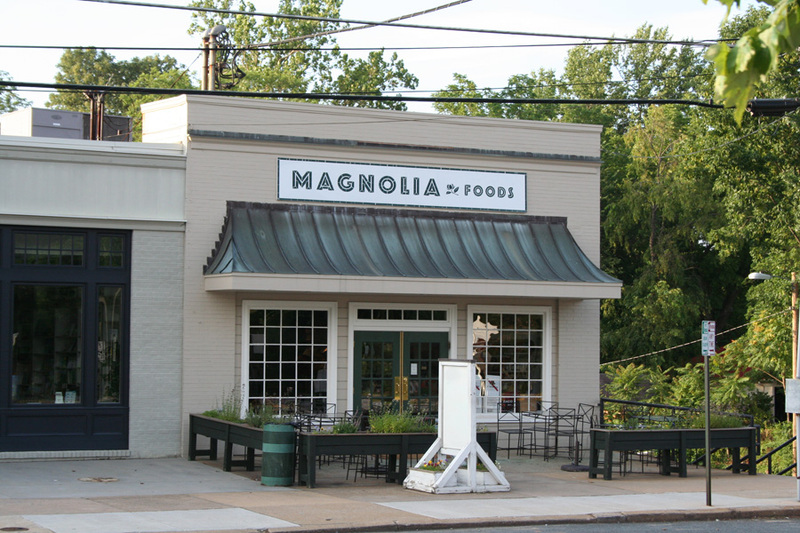 Today this building is home to Magnolia Foods.